UPDATED: Wed., May 23, 2018, 6:32 a.m.
A modest proposal: If you own a deadly thing – a thing that, when it does what it is meant to do, can kill people – then you should be held at least partly responsible if somebody else gets their hands on your deadly thing and kills people. Say you own a tiger. You love your tiger. You are an excellent, law-abiding tiger owner who can ensure that your tiger does what it is supposed to do – play in its enclosure, eat the meat you toss in, jump through hoops – and not what it is not supposed to do – maul children. My thought is, if your tiger ends up in a school mauling children, you’re, uh, somewhat responsible. This is an absurd hypothetical, of course. Guns are not tigers (nor are they cars, or knives, or swimming pools…). Guns – as their most zealous defenders remind us continually – are inanimate objects. But only absurdities seem pertinent at this point, as politicians rush to the microphones to blame school entrances or trench coats for shootings in order to spare the nation’s beloved firearms from unjust criticism. Last week, a teenager took guns from his home into his school and killed a bunch of classmates in Sante Fe, Texas. It was just another Friday – like the Friday in 2012 when Adam Lanza took the guns he used to murder 27 people at Sandy Hook Elementary from his gun enthusiast mother, who he also killed. These are not isolated examples. Teenagers who shoot up schools almost always get their guns at home, according to the Center on Media, Crime and Justice at the John Jay College of Criminal Justice. In an article posted on the center’s website in April, the center noted that there have been 32 school shootings with at least three dead or injured victims since 1990. Of those, 25 of the shooters were teens or younger; in the 20 cases where enough information was available, 17 of the guns had come from the shooter’s home. One of those cases occurred here, of course. Investigators say when Caleb Sharpe took his duffel bag of weaponry to Freeman High School – a rifle, a pistol and a box of ammo – he was carrying firearms he got from his father’s gun safe. The problem of accessible guns in the home is not primarily tied to mass shootings, though. It’s a much more lethal problem in terms of accidental shootings and suicides. About a third of American children live in homes with firearms; in half of those homes, the guns are unlocked, according to a 2008 study. More than three-quarters of all teen suicide attempts involved a firearm stored in the victim’s home or a friend’s home, according to research published in 2005 in the Journal of the American Medical Association. An average of 5,790 kids each year are treated in ERs for gun injuries, with nearly 1,300 deaths, according to the journal Pediatrics. All of which is to say nothing about stolen guns and their role in other crimes. In other words, there’s good reason to think we could make progress with safer storage. Twenty-five states have laws meant to limit children’s access to firearms, though prosecutors vary greatly in how and when they choose to enforce the laws. This, politically, seems to be crazy talk. Just way out of bounds. The legislation would have applied a reckless endangerment charge, a gross misdemeanor, to cases where an adult leaves out a firearm or stores it in a manner that a child can get access to it. As has happened year after year in Olympia, Democratic sponsors climbed onto House Bill 1122 like Don Quixote mounting Rocinante, and rode at the windmills, only to wind up on their backs again. It was introduced in the House in 2017, got batted around a bit and languished in committee until it was revived in 2018 to languish in committee again. 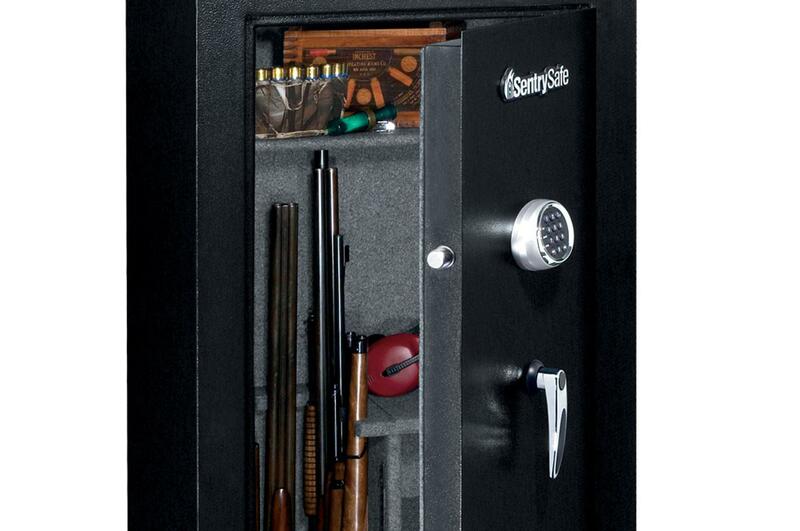 As with any single gun-safety proposal, safe-storage requirements would be a small, limited piece of a vast problem. But if we were truly working on a multifaceted approach to a safer society, this would be one piece of it. We are not working on a multifaceted approach to a safer society, of course. We are playing, one school shooting at a time, a game of partisan ping-pong, where one side wants to do something – and sometimes it is honestly little more than an unhelpfully amorphous something – while the other simply does not. They will dodge, duck, deflect, denounce, divert – and resist every concrete effort to act. They will call, as our own Cathy McMorris Rodgers has called, for “courageous conversations,” and do nothing else. The measure of their insincerity lies in their failure to propose something concrete – we should not hold our breath awaiting legislative proposals addressing school entrances, trench coats or courageous conversations, because those are diversionary tactics, not serious proposals. The Washington Post asked every lawmaker in the House for their positions on what it called the “Parkland agenda.” These are broadly popular measures proposed by some of the student activists who have risen up in the aftermath of the Parkland shooting, all of which should at the very least be part of our conversations: funding gun-safety research; improving the ability to track gun sales; ensuring universal background checks; and banning large-capacity magazines and assault weapons. Democrats broadly supported this agenda. One must surmise that Republicans did not, but most of them didn’t bother to weigh in. McMorris Rodgers was one of the 208 GOP House members and 38 Democrats who wouldn’t reply. Updated: May 23, 2018, 6:32 a.m.